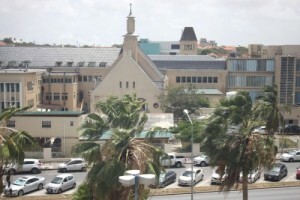 WILLEMSTAD - 781 former employees of the Saint Elizabeth Hospital (Sehos) will seize the assets of the hospital if it does not pay them. In total, this amounts to more than 20 million guilders. That is the number of premiums that have ever been deducted from their salaries for a health insurance fund that was never established. Sehos director Anton Casperson acknowledges the claim but says that the hospital goes bankrupt if it has to pay it this money.